The greatest depression in human history is still in its starting stages. 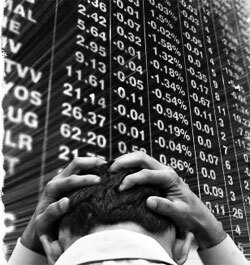 What the media and many officials often refer to as the “hangover” from the global financial crisis is in fact the end of the beginning. Originating in 2008, the global economic crisis took the world by storm: banks collapsed, the “too big to fail” became bigger by consolidating the rest, governments bailed out their financial industries, masses of people lost their jobs, the ‘developing’ world was plunged into a deep systemic crisis, food prices rose, which in time spurred social unrest; and the Western nations that took on the bad debts of the big banks are on the precipice of a great global debt crisis, originating in Europe, hitting Greece and Spain, but destined to consume the industrialized world itself. Though many claim that we are in a “recovery,” things could not be further from the truth. And now top financial experts are warning of a new financial crisis altogether, since the monstrous derivatives market that played such a nefarious role in the preceding crisis has not been altered, nor have its systemic risks been addressed. The derivatives market – essentially a fictional electronic market of high-stakes gambling – has a value ten times that of the entire global gross national product of the world’s countries combined. This market is dominated by hedge funds and the “too big to fail” banks, who in fact created the derivatives trading schemes. As one leading hedge fund manager recently stated, “There is definitely going to be another financial crisis around the corner… because we haven’t solved any of the things that caused the previous crisis.” The market for derivatives is somewhere in the realm of $600 trillion. 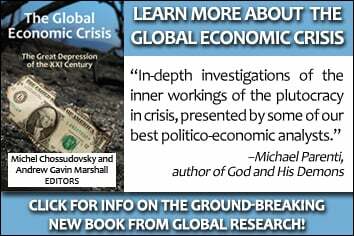 The most recent publication by Global Research, “The Global Economic Crisis: The Great Depression of the XXI Century,” (Michel Chossudovsky and Andrew Gavni Marshall, editors) examines the true nature of the crisis the world faces; not only its historical origins, but its depth and future repercussions. 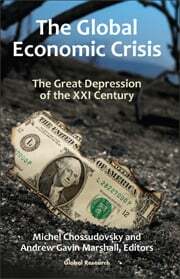 No other book on the subject takes such a nuanced and multi-faceted approach to examining the global economic crisis. Over a dozen different authors, researchers, economists, academics and former policy-makers contributed to this important book. Included within are: an examination of the history of the central banking system, the emergence and role of neoliberalism, the myth of the “free market”, the role of war and empire, the National Security State, the relationship between economic crisis and the militarization of domestic society, global poverty, the food crisis, the roles played by major think tanks such as the Council on Foreign Relations, the Trilateral Commission and the Bilderberg Group, the nature of the derivatives market, the uses of the crisis as an “opportunity” to forge ahead with long-held plans for a global central bank, a global currency, and a global government, and much much more. This book is not merely a history, it is a warning, and its message should be heeded now more than ever. As the crisis continues and deepens, as the wars exapand and multiply, as the very institutions that created the crisis are given more power, and as governments become more repressive and people become more resistant, it is vital for all to know the true nature of the crisis we face, the reality of who caused it, and where it is taking the world. Single purchase of book is $15.00 plus 9.50 s&h = $24.50.